Paulo Jorge Ferreira is currently Associate Professor at the University of Texas at Austin, USA and the Director of the Electron Microscopy facility at the Texas Materials Institute. He has a Ph.D in Materials Science and Engineering from the University of Illinois, USA and has done his Post-doctoral work at MIT in Materials Science and Engineering. He concentrates his scientific research in the areas of Nanomaterials, Nanotechnology and Electron Microscopy applied to Alternative Energy Technologies. At the educational level, he teaches graduate courses in Nanotechnology and is the Assistant Advisor to the Graduate Program in Materials Science and the University of Texas at Austin. In parallel, he has been involved in initiatives with various american and portuguese institutions in the areas of Education and Higher Education, Systems of Innovation, and Science and Technology. He is co-author of three books, namely “Materials 2000”, IST Press, 2003, “Investing in the Future: University-Industry Collaborations in USA and Portugal”; and “Nanotechnology for Architects, Designers and Engineers” with co-authors D. Schodek (Harvard University) and Michael Ashby (University of Cambridge, UK). He is also the author of various scientific articles published in international journals. 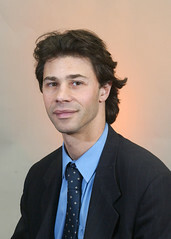 In addition, Prof. Ferreira is part of the Editorial Board of Review of “Metallurgical and Materials Transactions” and he is a regular reviewer for the journals Acta Materialia, Microscopy Research and Technique, Microscopy and Microanalysis, Journal of Materials Research, Applied Physics Letters, Materials Science and Engineering A and Nanotechnology. Prof. Ferreira has also acted as a special advisor to the Minister of Economics and Innovation, Portugal, on Government Strategy for Science & Technology. His research interests focus on the study of the atomic structure and defect behavior of nanomaterials, used for alternative energy technologies, through in-situ and high-resolution TEM techniques. In particular, I am interested in understanding the relationships between the atomic/nano structure and the properties of nanomaterials, and the fundamental underlying mechanisms of structural and property changes induced by crystalline defects. My experimental work employs various TEM techniques, such as in-situ TEM heating, in-situ TEM nanoindentation, in-situ TEM straining, high-resolution TEM and aberration-free STEM Z-contrast. The focus of the research is in Nanoparticles for Fuel Cells, Batteries and Solar Panels, Nanocrystalline Metals and Metallic Nanoparticles, Copper Nano Interconnects and Carbon Nanostructures.